The Senate wants to give pay cuts to over 10 percent of our Active Duty force. Before we inquire as to what pay cuts they plan to give themselves (ahem, none), let's take a look as to why this may be a good option for our military. Bear with me for a minute while we break this down. We recently looked at how the Senate's proposals for the Defense Authorization Bill would disproportionately affect younger service members to the tune of thousands and potentially tens of thousands each year. They are proposing to cut BAH for dual military couples so that only one member in the couple is drawing BAH, but at the “with dependents rate” akin to what military families with a civilian spouse draw. This would significantly affect 11.5 percent of our military. These cuts are part of a $612 billion defense bill. In a press release, Senator John McCain explained that the Armed Forces Committee identified $10 billion in waste and excess spending to cut. The savings are described as necessary as a result of the trillion dollars that the DoD must cut for its budget over the course of the next decade. The committee recognizes that these cuts mean that "American lives are being put at risk," and they explain that they are aiming to make cuts wherever possible to combat these risks. Personnel costs make up a vast portion of the DoD's budget. Though it may be awful to even consider cutting pay for service members, when burgeoning personnel costs could potentially threaten our ability to invest in technologies and training to protect other service members, we must consider all options. No item on the budget can be too taboo to even debate. When the debate is between military families living in cushier abodes stateside versus investing $25 million in upgrading the Marine Corps' aircraft survivability that will keep our Marines safe in combat, I think most would agree that they'd rather face a little more hardship at home than render their friends in combat more vulnerable. Any savings in personnel costs could (logically and ideally being key words here) bolster the warfighting effort to help make America stronger. Any savings allows us greater financial leverage to make better investments in technology and training to further help with America's defense--the reason our military exists in the first place. Also, cutting excess spending from the budget also helps with America's overall economy. A strong economy makes for a stronger country; a weak economy that requires us to borrow at great expense from foreign governments, such as China, ultimately undermines America's sovereignty. If we continue to borrow at great expense because we can't get our budget in line, then we threaten our nation's security as we will place ourselves in a position to which we are beholden to our creditors and their interests, which are not likely in line with our own. The real concern here is why has the Senate identified a specific group of married personnel to target in their cuts? The military has lead the way in combatting discrimination with a desegregated work force, desegregated DODEA schools, and the acceptance of gay marriage. Well, the answer is a little complicated. 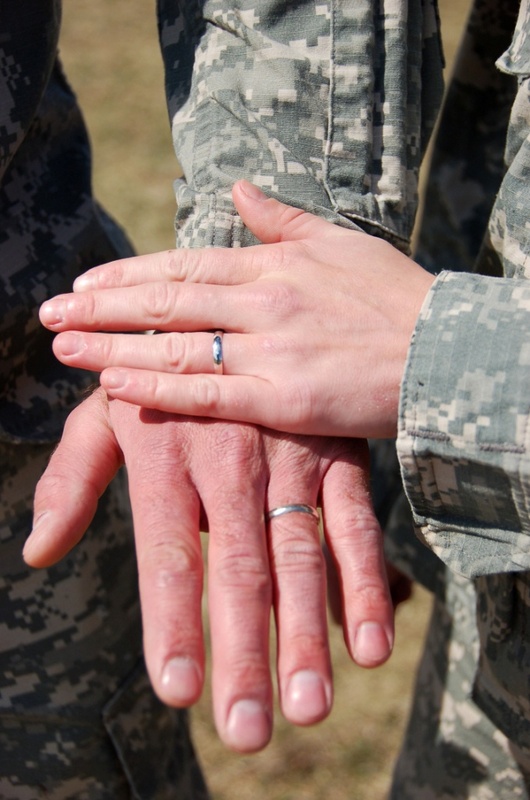 Dual military couples currently receive above and beyond what the BAH benefit was intended for, though because they're both military, they have extra stresses. That extra allowance helps offset some of those costs, such as childcare, but that isn't why the allowance exists. BAH was originally designed to offset housing costs; it wasn't even designed to cover all housing costs, and it didn't cover all housing costs until 2005. Just last year we looked at the possibility of Congress cutting BAH completely. If we cut dual military BAH, these couples will still be able to afford housing in their locale on the BAH with dependents rate of the senior ranking member in the marriage. Therefore, their allowance is still meeting its intent even if it's less than the amount they are accustomed to. Impacting pay or benefits for our military is always a sensitive issue, and knowing that large numbers of our service members are financially insecure makes it troubling to consider the impact that a cut to BAH may have on a younger dual military couple. We know that they likely have higher than average childcare costs and additional expenses that come with having both members in the marriage work long, inflexible hours. As a work from home mama, I can’t even imagine the logistical challenges they face. However, when budgets dictate that cuts must be made, those cuts are going to hurt some segments of the military more than others. If you want your voice heard in how those cuts are made, make sure to call your congressmen. Want to stay up to date on military life issues? Subscribe to our newsletter!